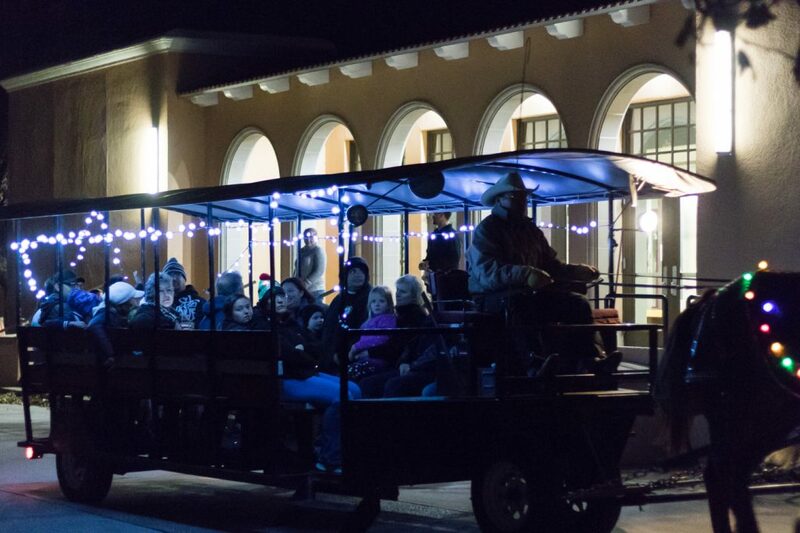 As the fall semester at New Mexico State University comes to an end, students and community members were invited to the 34th annual “Noche de Luminaries,” where they could celebrate the beginning of the holiday season. 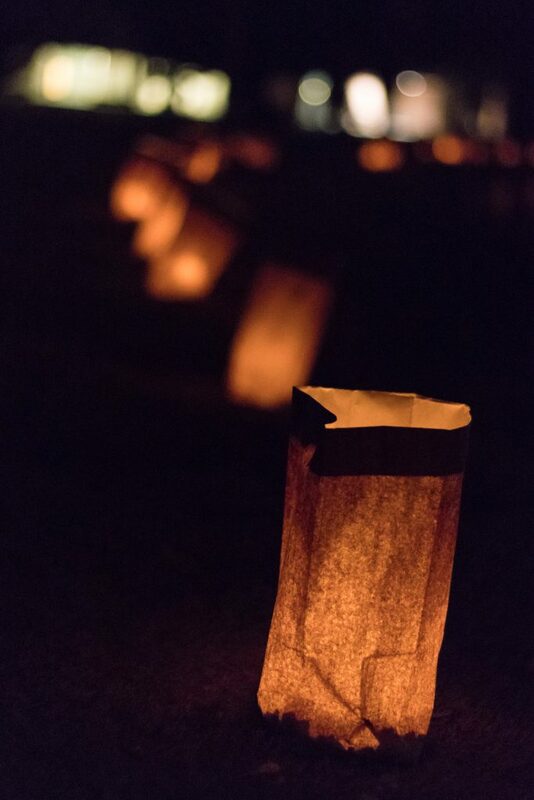 The candle-lit celebration at NMSU is one of the largest luminaria displays in New Mexico, featuring more than 6,000 luminarias. 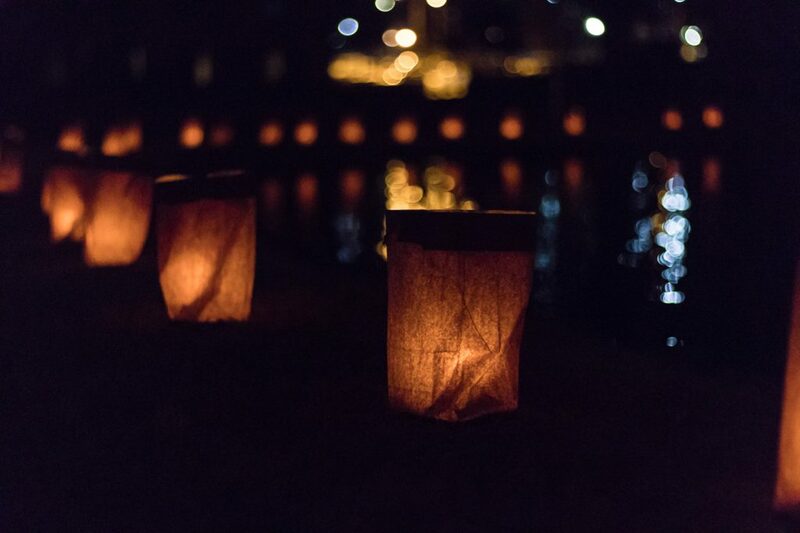 The luminarias illuminated parts of campus for attendees to enjoy with friends and family from 6 to 9 p.m., Sunday, Dec. 2. 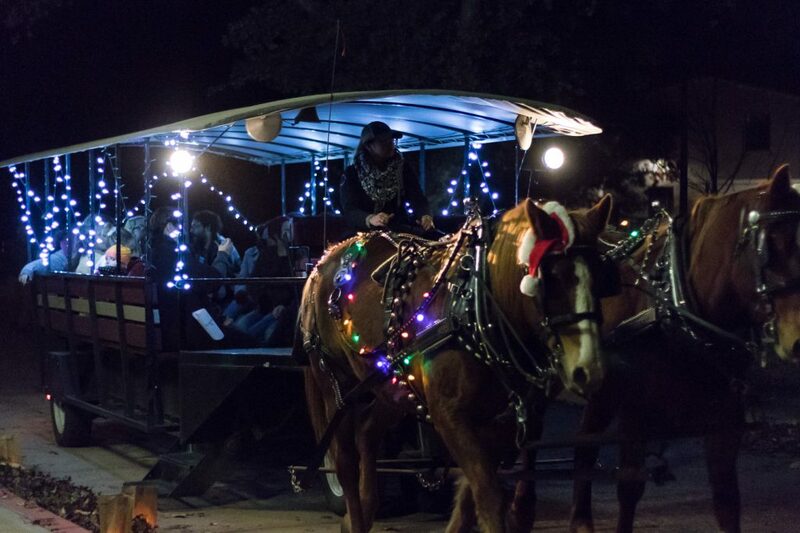 “This event signifies the beginning of the holiday season for the campus. It’s tradition for some of our students and community to start their holiday activities with this celebration. Other students see it as a time of reflection not only for the past year, but their time here at NMSU as they may be getting ready to graduate the next week,” said Bruce Vandevender, director of Campus Activities. 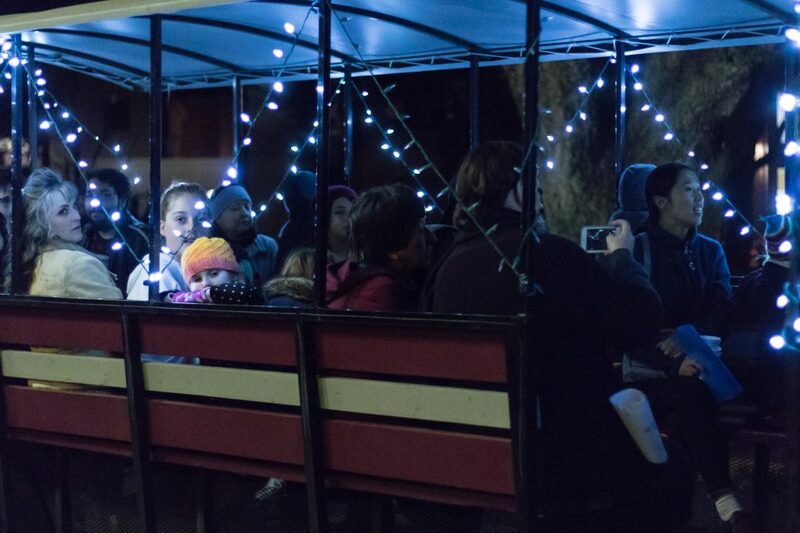 Visitors experienced the festive trolley rides provided by Frontier Adventures alongside the luminaria path and enjoyed refreshments, snacks and holiday activities inside Corbett Center. Along with holiday activities and entertainment, there was a chance for visitors to take pictures with Santa and win free gifts provided by Campus Activities. 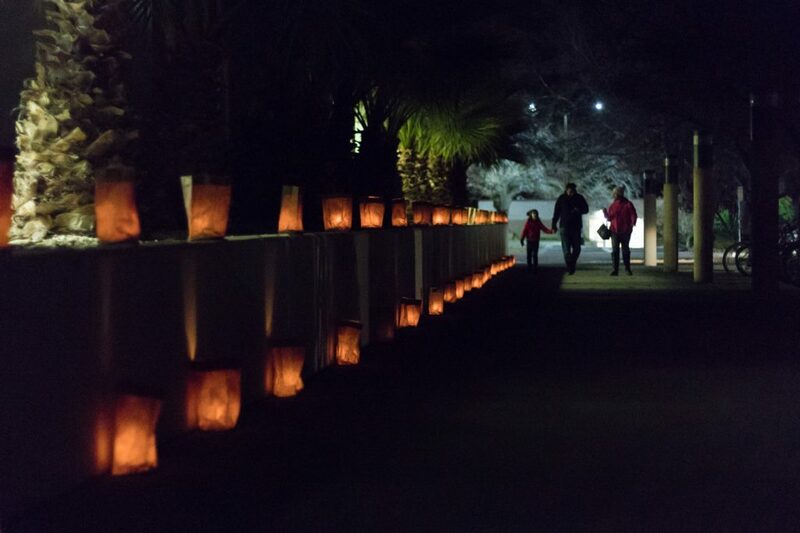 “This is my first time attending a luminaria event, and I’m really glad my friends and I took a break from studying to come enjoy the luminaries,” said NMSU student Elana Kresl. 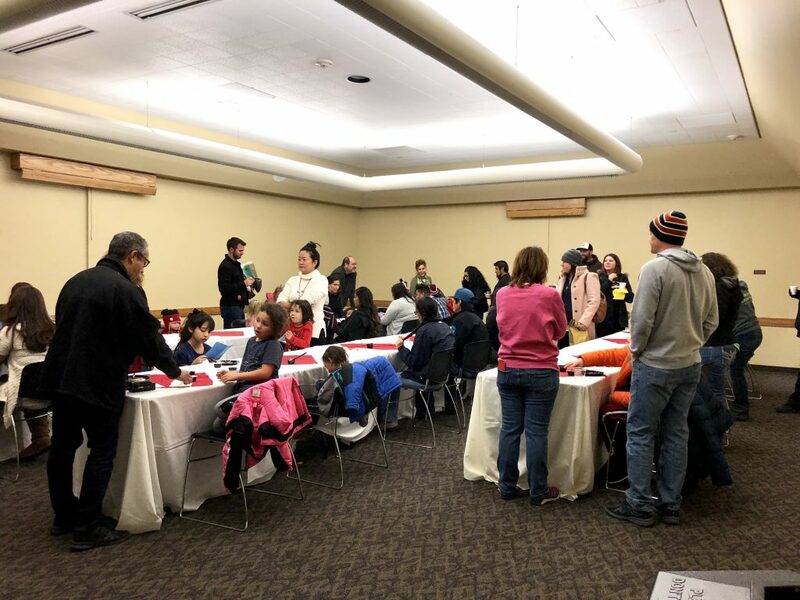 The Noche de Luminarias event was sponsored by Campus Activities, ASNMSU, Corbett Center, Auxiliary Services, Barnes & Noble at NMSU, The Office of the President, and The Office of the Chancellor. For more information about the event, contact Campus Activities.